Do you have an upcoming or graduating Senior in your life? It’s time to have a Senior moment, as in Senior Portraits. Personally, I did not have Senior Portraits done when I graduated from high school. Photos were not important to me as a young man. Little did I know, when I grew up how much I would have loved to have some memories of me in print, doing the things I loved to do ‘back in the day’. I loved playing guitar and baseball, and listening to rock and roll music. That was all there was as far as I knew. My senior yearbook picture is hilarious, but I’m grateful to have a copy of it so I can show my kids and get a good laugh. But, today’s Senior Portraits are so much more than those from back in the day. Today’s Seniors want to be captured in their full essence, either capturing their beauty, their athleticism, their creativity, or their academicism. Here we were honored to photograph Athena who graduated in 2018 and is on her way to a four year degree in the Bay Area. Her beauty was stunning and we found this amazing purple foliage that fit her perfectly. 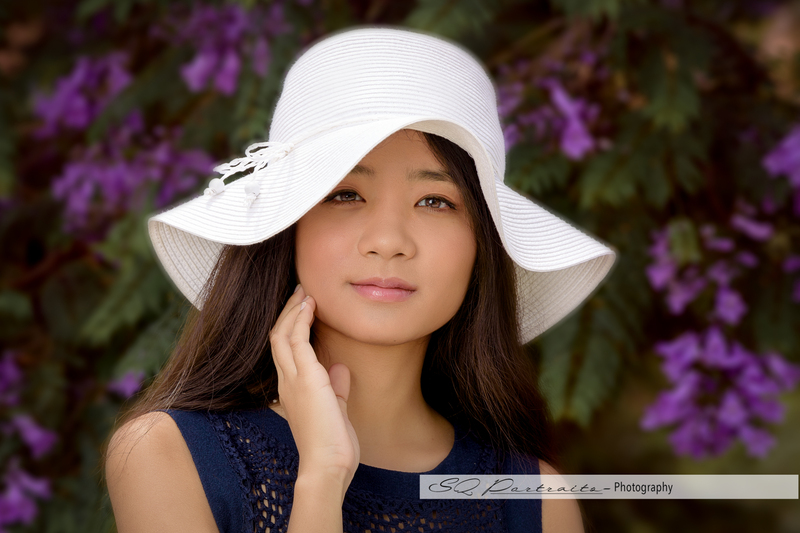 You have a choice for who you use for Senior Portraits, regardless of what your school might say! Contact us today and get started on your own journey through our boutique style photography service and enjoy heirloom quality prints to go with your Senior Portraits. We’d love to know a unique way you would like to be captured! Give us a comment below and receive a special gift.